Arrange the dough in a greased bowl,keep in a warm place for atleast for an hour or let the dough gets doubled their volume..
Heat oil in a pan, let crack the cumin seeds, add immediately the chopped onions,chopped green chillies, saute until the onions turns transculent. Add immediately the chopped potatoes,saute everything for few minutes,now add the garam masala powder,salt and cook everything in simmer until the potatoes gets well cooked(springle water if needed). Finally add the cubed paneer,give a quick stir and put off the stove,keep aside and let the masala get cooled completely..
Preheat the oven to 350F,grease the muffin tray and keep aside. Punch down the dough and make 10-12medium sized balls. Flatten them with a rolling pin as a small thick disc, place the already prepared masala,over the masala completely with the dough, shape the dough as buns. Arrange the stuffed buns to the greased muffin tray. Let it stay for an hour until its rises a bit. Brush with oil on the top. Bake in middle rack for 20-25minutes until the crust turns golden brown. Let it cool in wire rack. wow thats an interesting savoury stuffed muffins and looks so delicious :) tempting me aks !! Very interesting and inviting,looks delicious.Wish to have some now.. Very nice buns...love them. Superb Priya. wow..yeasted muffins with savory potato paneer stuffing, sounds too delicious and tempting...so perfectly done! Beautiful color of the crust, all time favorite! Wow..the entire thing has changed for good Priya..It's been long since I came here (anywhere else as well.bit engaged with home stuff)and what new refreshing fell here..Superbly nice priya..Loved it.And the muffin idea fascinates me even more..How I long for one of my favorite filling there..Yum! Book marked right away even without reading the recipe...they look adorable...yum is the word. oh these are a beauty!! I call them masala buns!! These muffins look superb. Simply delicious. Would love to munch on those. WOW!!! Priya looks amazing. Very interesting muffin. The dish looks so tempting priya..what a lovely idea..enjoyed your series! So soft and yummy stuffed muffin. Stuffed buns in muffin avatar look so cute and delicious. Well prepared. Lovely clicks. Priua your bread muffins love so stunning & love that filling. wonderful idea for the tiffen box. They look so soft and yummy. And a great tasty filling. 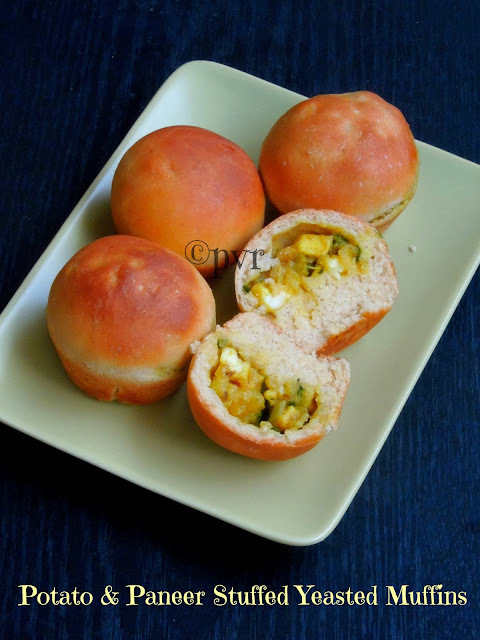 Yummy potato paneer muffins.. Excellent kids snacks box recipe.. 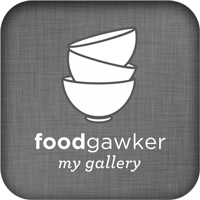 Came across your blog from foodgawker. Wow! What an extensive library of recipes you've got there! Nice to know you. 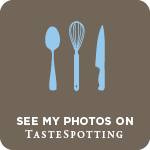 Do check out my blog at http://yummilyyours.com/. Excellent one, I am packing my son lunch at 6.30Am here. Lucky you! I should try out this one! Lovely idea to use the muffin pans, they look so cute.. These stuffed buns are my favorite! We buy something similar from Hot Breads and my kids love this! And btw, the stuffed bread looks yum! That potato paneer stuffing sounds awesome. Rolls look perfect. Lovely buns! Love the stuffing as well..Had a different version of the buns for a snack today!